Daniel Haber MD in Campbell, California, is a full-service orthopedic and sports medicine clinic serving the San Jose area, offering a wide range of both traditional and cutting-edge services. Led by Dr. Daniel Haber, the clinic specializes in sports injuries, along with orthopedic surgery techniques. Dr. Haber is an accomplished orthopedic surgeon who also specializes in sports medicine, so he’s treated his share of knee, ankle, shoulder, and back issues with your complete recovery as a target. 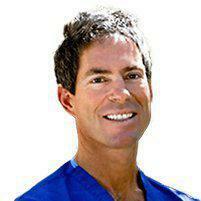 Dr. Haber works regularly with Division 1 collegiate athletes, so simple recovery is not enough. Maximizing performance is equally vital. Body mechanics play an important role in both injury recovery and maximized performance. Kinesiologist Asher Faltic provides comprehensive movement analysis, whether you require rehabilitation, functional ability assessment, or ergonomic counseling. Physical therapist Ryan Sales adds his skill to the mix, assisting you with treatment and education geared toward complete recovery and optimal performance.